Mayor William Peduto, City of Pittsburgh, brought together Greater Pittsburgh Arts Council's Art on the Walls exhibition program and the Associated Artists of Pittsburgh to curate, exhibit, and sell quality art by local artists from the administrative offices and chambers of the Mayor's Office in the City County Building. This showcase of art, on exhibition the length of Mayor Peduto's term in office, features artwork by the following artists represented by the Associated Artists of Pittsburgh: Robert Bowden, Alan Byrne, Fran Gialamas, Jon Hall, Yelena Lamm, Laurie Longenecker, William D. Pfahl, Miriam Scigliano, William D. Wade, Terri Wolfe Izzo. The collection also features artwork by the following artists represented by Greater Pittsburgh Arts Council: Ron Donoughe, Ramon Riley, Dylan Vitone The Pittsburgh-based artists' paintings, prints, photographs and multimedia works relate to the theme of Pittsburgh by depicting the people, places and feelings that make Pittsburgh special, interpreting Pittsburgh's past 200 years through diverse artistic lenses. Read about the AAP artists below. ”Art for me has been a journey—an interesting and creative adventure which has taken me through the worlds of theatre and education, computers and fine art. I initially worked as a scenic designer in College and Community Theatre. My experience with computers and teaching graphic design has allowed me to become proficient with the Adobe programs, specifically Photoshop and Illustrator. Since my introduction to computers it has been my desire to incorporate new techniques into my work. I use programs to enhance my photographs and create images that serve as guidelines for my painting. William D. Wade is an artist, photo-journalist and a long time Associated Artists of Pittsburgh member. He has been published and exhibited internationally and is a former staff photographer and photo editor for The Pittsburgh Press and Pittsburgh Post-Gazette. He graduated with a B.F.A. in Photo-Communications from Ohio University in Athens, Ohio, and is an adjunct associate professor teaching still photography at Pittsburgh Filmmakers. ”I am a social realist painter. My aim is to capture the spirit of the age and create contemporary portraiture that tells stories about my subjects through a strong visual narrative. The portraits that I paint allow for me to relate ideas that are a product of my observation and experience. I am a tireless people watcher. I am fascinated by both our amazing diversity and fundamental sameness. To capture someone, with all their complexities, through paint on canvas has to be one of the most challenging and rewarding undertakings in art. ”Archival photography is the starting point and reference for my work in which I comment on themes such as identity, sense of place, time, and primarily the American worker. The American worker is a metaphor for change and self-definition in contemporary life. Women steelworkers often star in the worker series questioning traditional gender roles. Yelena Lamm was born in Saint Petersburg, Russia, where she received her formal art training from the N. K. Roerich Fine Arts School. After moving to the U.S.A. with her family in 1995, Yelena pursued a career as graphic artist. She furthered her education at the Art Institute of Pittsburgh, where she received her degree in Graphic Design. Meanwhile, she kept on painting, working on various subjects and developing her own artistic style. Yelena’s illustrations are featured on interpretive panels at one of Pittsburgh’s major tourist attractions, Grandview Promenade. 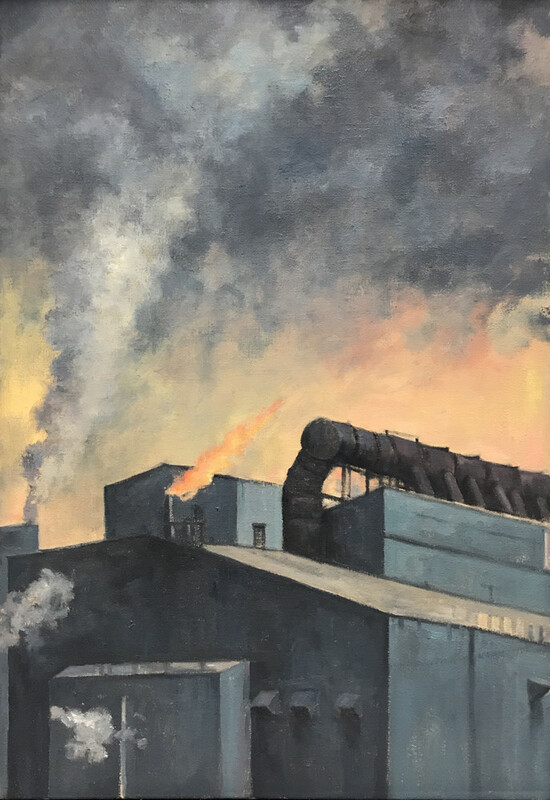 She had two solo exhibitions and participated in numerous juried group shows, notably, at the Pittsburgh Heinz History Center and Westmoreland Museum of American Art. Yelena is a member of Associated Artists of Pittsburgh and Pittsburgh Society of Illustrators. Painter Terri Wolfe Izzo seeks to express the unique energy of each place and subject she paints. Through color, shape, and texture, both urban and rural landscapes are reduced to the essential elements—real, exaggerated, or invented. Atmospheric conditions and time of day form the basis of this exploration. Ron Donoughe, a native of Loretto, PA, now living in Pittsburgh has been painting the Western Pennsylvania landscape for nearly 30 years. His work features the many textures of the region. Ron is a full-time professional artist. He has taught outdoor painting workshops throughout the United States and France. Ron is a Distinguished Alumni of Indiana University of Pennsylvania. Additional painting studies have included the California College of Arts & Crafts in Oakland, California, (Now California College of the Arts) Ron was awarded best of show at Three Rivers Arts Festival, 2003, and his work was selected for Salon International, Masters of Contemporary Fine Art, 2004. He was a featured artist on a special for PBS, Visionaries, which showcased the Westmoreland Museum of American Art. Ron’s was also featured in a one-person exhibition at the Pittsburgh Center for the Arts in November 2006 with a book released at that time, Essence of Pittsburgh. Ron is a member of the Associated Artists of Pittsburgh and his paintings can be found in many corporate and private collections as well as The Westmoreland Museum of American Art and The Southern Alleghenies Museum of Art, The Duquesne Club and The University Museum at Indiana University of Pennsylvania. 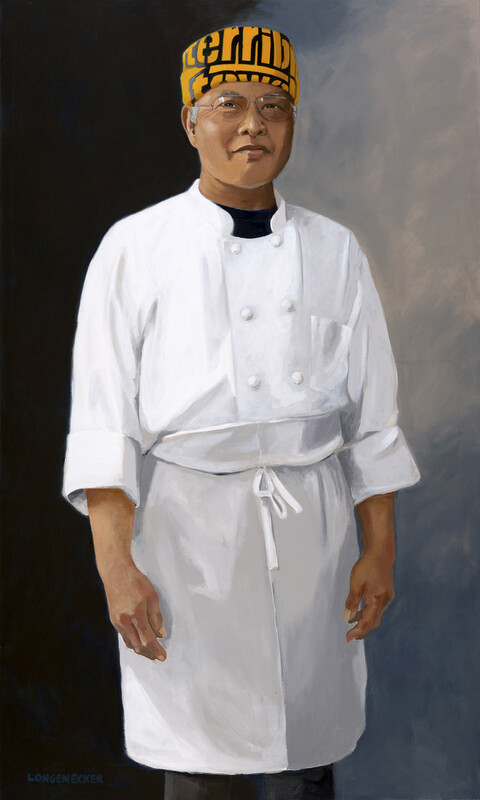 His work was featured at the Pennsylvania Governor’s residence in 2011, in an exhibition titled Across the Alleghenies. Most recently, his collection of 90 Pittsburgh Neighborhoods has been acquired by the Heinz History Center as a permanent exhibition. Ramon Riley, a native of Pittsburgh, Pennsylvania, earned a Master of Art Degree at Indiana University of Pennsylvania in 2013, with a concentration in painting. While Riley’s work draws from realistic study, he utilizes his poured paint foundations to integrate the representational with abstract expression. In 2015, Riley was the featured artist on WQED’s Pittsburgh 360, which spotlighted his solo exhibition, BRADDOCK Coming Home. Riley’s BRIDGES works were exhibited in Dallas, Texas in January 2016. A career art teacher at Pine-Richland High School of over 17 years, Riley’s belief in a strong art education in public schools stems from his own testimonial. With his 2014 “Where I Am From” project, Riley connected his Pine-Richland students and students from his alma mater, Woodland Hills High School, in a communal studio environment to create art works, which he showcased in his exhibition. Dylan Vitone is a photographer based in Pittsburgh. He holds a BA from St. Edward's University and an MFA from Massachusetts College of Art. He is Associate Professor in the School of Design at Carnegie Mellon University. His photographs have been exhibited widely and collected by museums including; The Museum of Contemporary Photography (MoCP), The Smithsonian Institution National Museum of American History, George Eastman House, Portland Art Museum, Nelson-Atkins Museum, Brooks Museum of Art, Harry Ransom Center, Polaroid Collection, Carnegie Museum of Art, the Museum of Fine Arts, Boston, Museum of Fine Arts, Houston. His photographic projects are based around geographical location where he uses those locations to speak about greater social and cultural phenomenon.